SILVAMIX® are high-nutrient slow-release fertilizer tablets. SILVAMIX® tablets are designed for individual fertilization and supplemental fertilization of a wide range of perennial plants (trees, shrubs, flowers etc. ), both mature and seedlings, in loose soil and in pots. SILVAMIX® tablets promote the growth of plants in infertile, damaged, eroded, acidic or waste rock soils. They are very effective in forestry, horticulture and in reclamation areas. 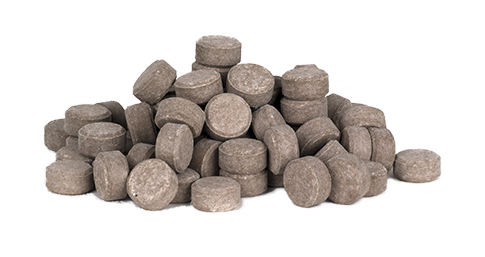 The action of SILVAMIX® tablets is based on the slow release of nutrients from Ureaform (Methyleneurea polycondensates – source of nitrogen) and potassium-magnesium phosphates in soil.